Patio doors don’t just enhance your home’s beauty and energy efficiency; they also offer a great deal of security for any home in the San Antonio area. Combine that with multiple beautiful hardware finishes, and you have a unit that takes your property to a whole new level. Renewal by Andersen® of San Antonio, your local window and door contractor in this area, describes the locking systems of our patio doors and their accompanying hardware. Our patio doors come with locking systems that are easy to operate and provide an airtight seal. On our sliding doors, there is a unique reach-out lock that heightens security and makes the door weathertight. This locking system pulls the door panel snugly into the jamb, ensuring a tight closure that helps lower energy bills and enhance the energy efficiency of your home. Our door installation pros can also add an optional auxiliary foot lock if you want an extra measure of security. 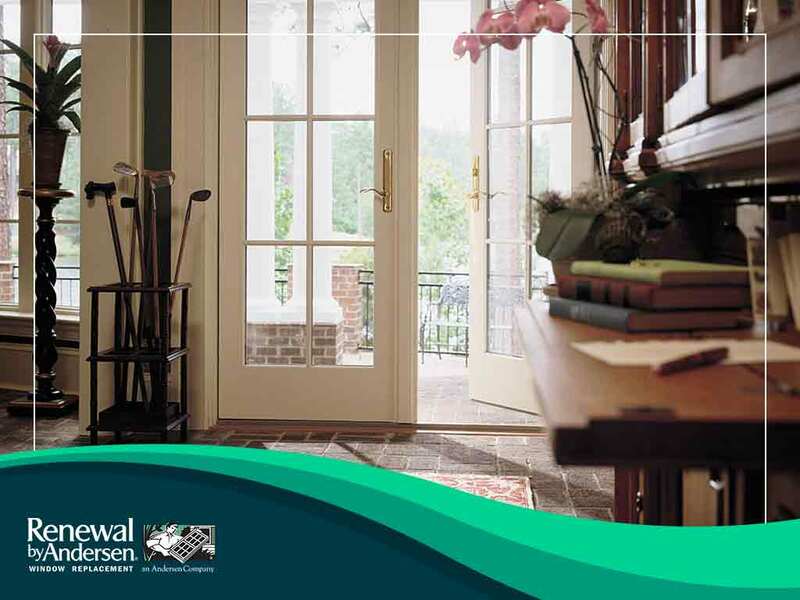 Our traditional French doors come with a five-point locking system. Here, five bolts evenly distributed along the frame can be controlled to ensure a strong airtight seal throughout. Optional exterior keyed locks are available for both types of patio doors. Our patio doors offer reliable security without compromising style, thanks to our wide selection of hardware. You can choose from 12 colors and finishes and eight handle styles, allowing you to find the best combination to complement your chosen unit. In fact, you can even choose to have separate hardware styles on the interior and exterior of your door. For help with choosing patio door and hardware styles for your home, turn to Renewal by Andersen of San Antonio. We are the patio and entry doors expert that you can trust for all your window and door needs. Just give us a call at (210) 888-9680 to get started. You may also fill out our contact form to schedule a free, in-home consultation. We serve residents of San Antonio and other nearby areas.